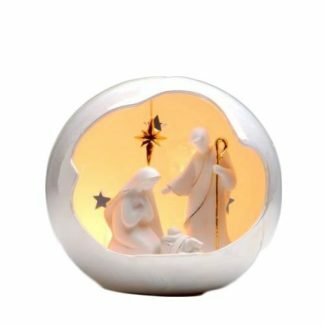 While you can decorate a mantel or entryway table with the festive Holy Family Globe. 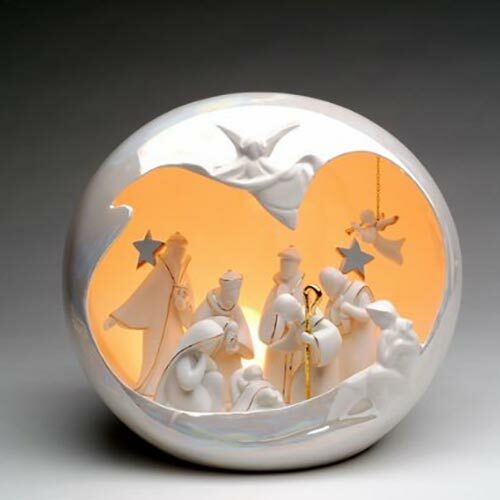 This ceramic nativity scene makes an elegant Christmas decoration. Includes a C7 watt light bulb and cord. 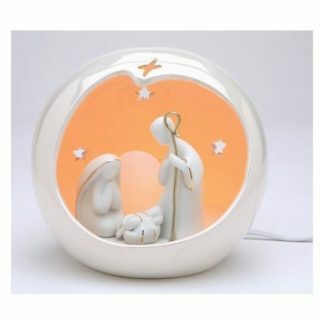 Appletree Design Large Globe Holy Family Night Light. While you can decorate a mantel or entryway table. That would make it fit with the festive Holy Family Globe. Also this ceramic nativity scene makes an elegant Christmas decoration. Therefore includes a C7 watt light bulb and cord. Also Appletree is a renowned designer and manufacturer of distinctive ceramic gift and collectible items. 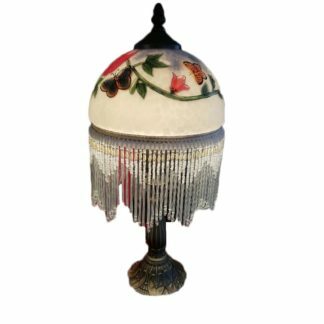 Products range from ornaments, vases, figurines, frames, musicals, nativities. As well as a host of other everyday and Christmas decorative items. Stop by today and check out all the great Christmas decorations we have one hand.